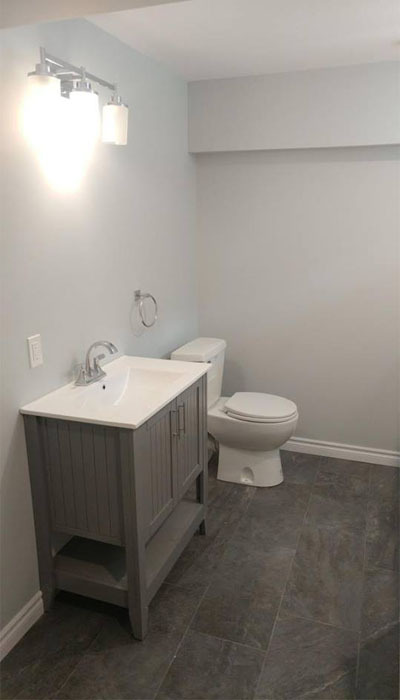 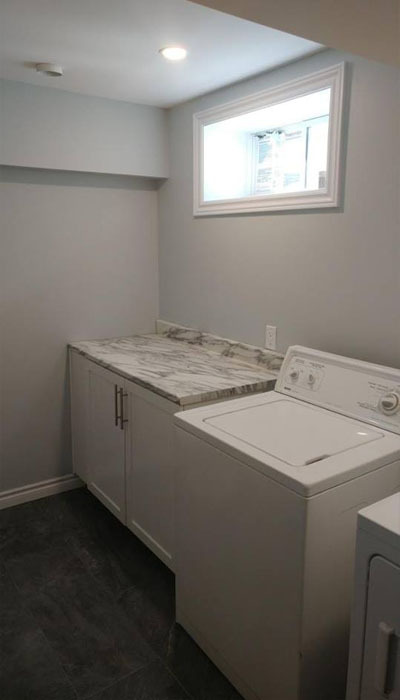 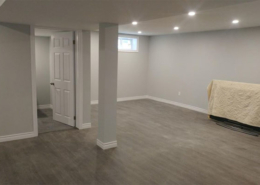 This basement renovation turned a once wasted space into a beautiful entertainment area, spacious laundry room, and new bathroom. 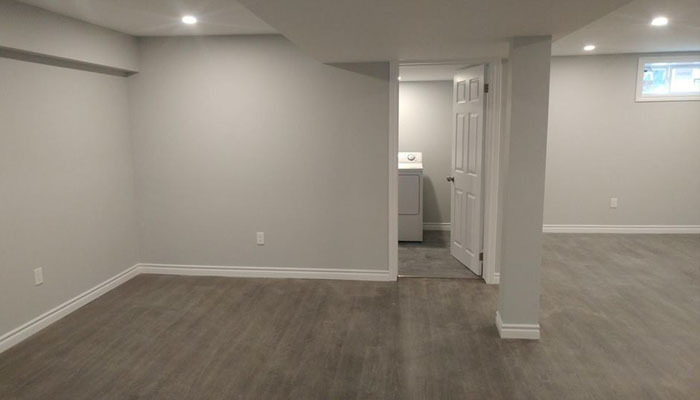 Flush ceiling lights were used to brighten up the entire space and to highlight the modern floor. 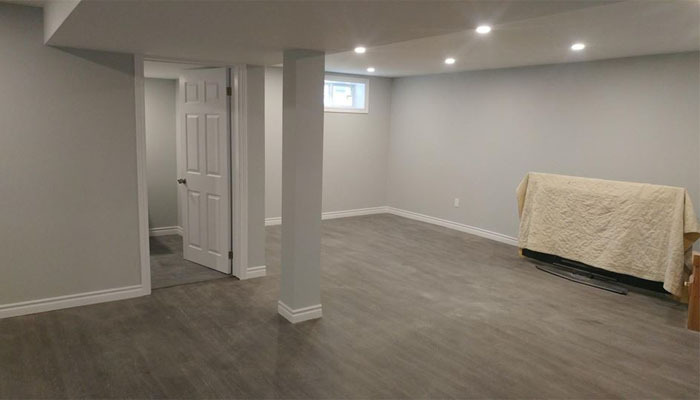 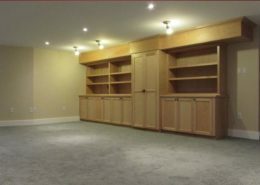 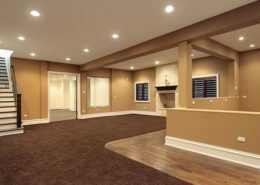 This basement renovation proves that any basement can be transformed into a functional space that you and your family can enjoy using every day.